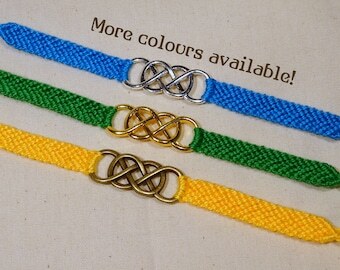 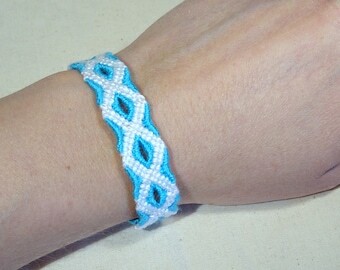 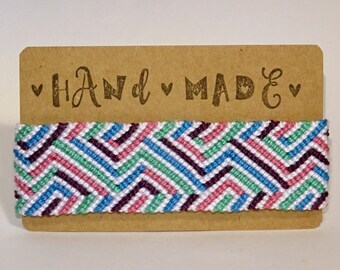 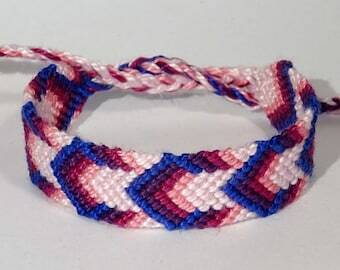 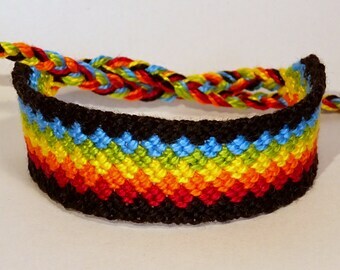 This is a beautiful friendship bracelet, knotted completely by hand. 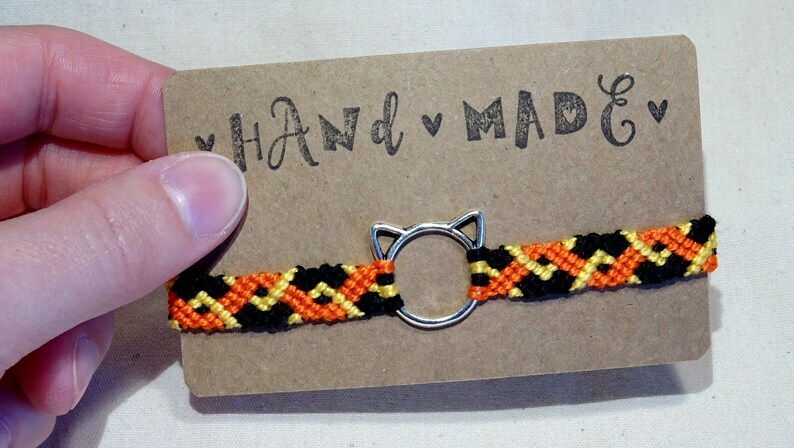 A metal cat charm is in the middle. 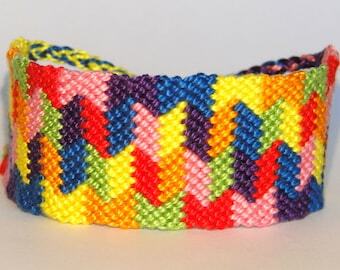 The material I use is 100% DMC . 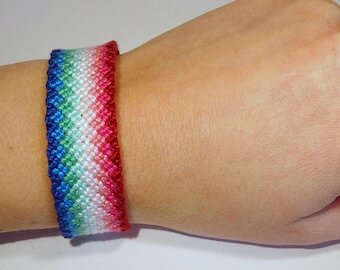 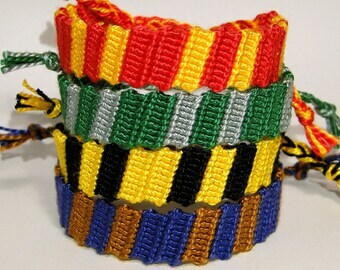 cottonThe bracelet will keep its colour for a long time, the material is very durable. 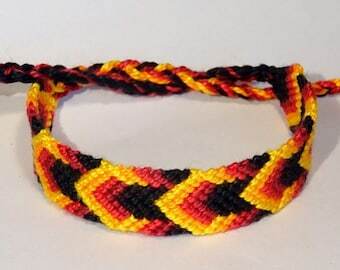 It is no problem at all to wear it during showering or swimming.